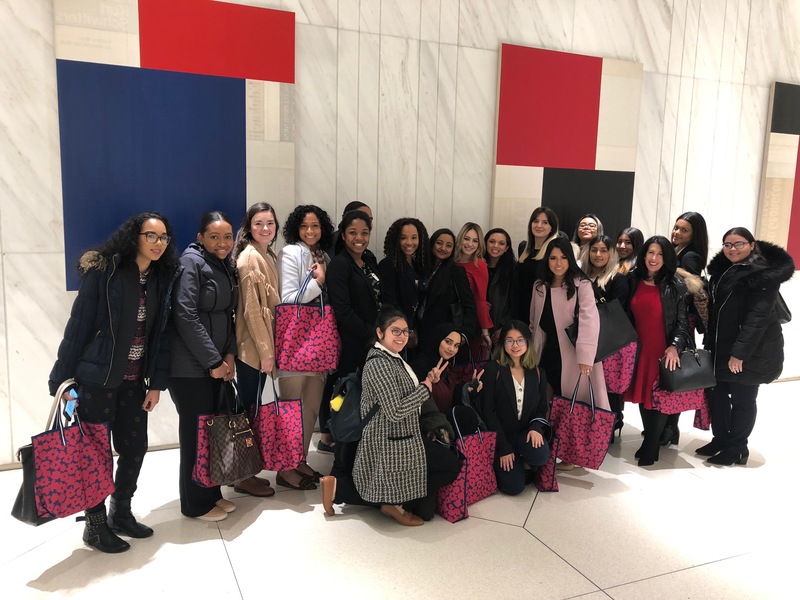 On March 26th 20 Mercy Mavericks attended a “trek” to Estee Lauder’s Corporate Headquarters in NYC. We received an Introduction to the Estee Lauder company, including a history of the firm, and a tour of Mrs. Estee Lauder’s private office which remains stock filled with all of the awards she’s received from former Presidents, dignitaries, etc. for being one of the first female icons to form her own company, hire and empower women, and give back. We were introduced to the two women professionals who focus on Corporate Communications, and are known as “The Voice of the Estee Lauder Companies” with regard to social media marketing. We also met with the Human Resources professional who runs the Internship Program, Presidential Programs and Careers. Estee Lauder remains one of the few firms where 55% of the Managers are female.